REFUGEE families around the Rockhampton region are being offered the opportunity to have some "time off” this Easter. Non-for-profit organisation, Edmund Rice Camps CQ is holding a refugee family camp over the long weekend. 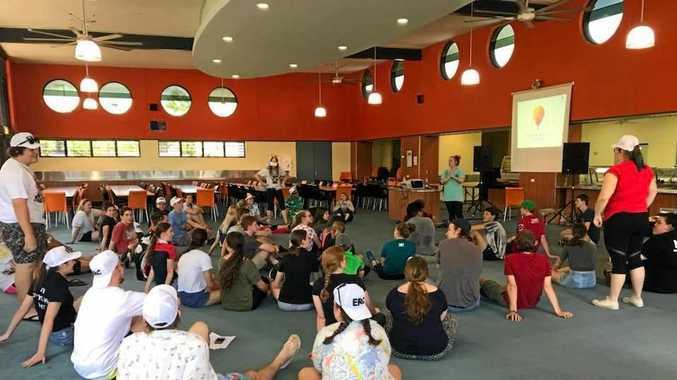 Edmund Rice Camps CQ Program Coordinator Libby Kneen and Chair of the Local Advisory Committee Justina Dadson are overseeing the camp to be held in Yeppoon. "What we hope to provide is a holiday experience for the family and in Yeppoon we have the beach and kayaking, giving them opportunities they wouldn't normally have,” Libby said. Libby said the program is designed by the camp volunteers with arts and crafts, sports, water activities. "We have an excursion to Rockhampton to the southside pool and Botanic Gardens,” she said. It's a time for parents to relax and have some time together. "In some of the families some of the parents might work two or three jobs and over Easter those businesses might close and it will give them to have some time off, spend time with each other and other families,” Justina said. Seven families made up of around 45 children and adults are expected for the Easter camp. "We work with local agencies to identify families that would be interested,” Justina said. Camps have been held a couple of times before locally for the children. "It's a mentoring experience with one on one with a volunteer,” Libby said. "The idea of the camps in general is to provide a one on one mentoring expeirence and to provide relief from sort of challenge, there may be socio-economic factors, disability, having that one on focus makes them feel important,” Justina said.